Innovation is vital when it comes to creating economic growth. In this episode of Real Economy the team look at what Europe is doing to help foster the continent's innovative industries, particularly in the fields of artificial intelligence and robotics. Once home to great minds like Averroes, today Seville continues to look to the future. At the city's Center for Advanced Aerospace Technologies (CATEC)scientists are working out how to develop new technologies such as autonomous drones that have arms capable of inspecting hard to reach pipelines and industrial plants. "One of the main advantages (of this technology) is that humans can be seated on the ground, controlling the drone remotely, and they are not at risk of being high. And, the other one of course, is that we are able, in certain conditions, to perform this operation faster than the traditional methods," says Miguel Ángel Trujillo Soto, the head of CATEC's autonomous systems unit. The drone technology was developed as part of a partnership with the University of Seville and the European Commission. The project was set up in a bid to boost both European research into AI and find future, real world, applications for such technology. Currently, EU companies spend less on innovation than Asia and the US. In 2016, Europe's private investment in AI stood at €2.4-3.2 billion, compared to €6.5-9.7 billion in Asia and €12.1-18.6 billion in North America. A declaration of cooperation on artificial intelligence signed by European countries in April 2018, aims to change that trend. 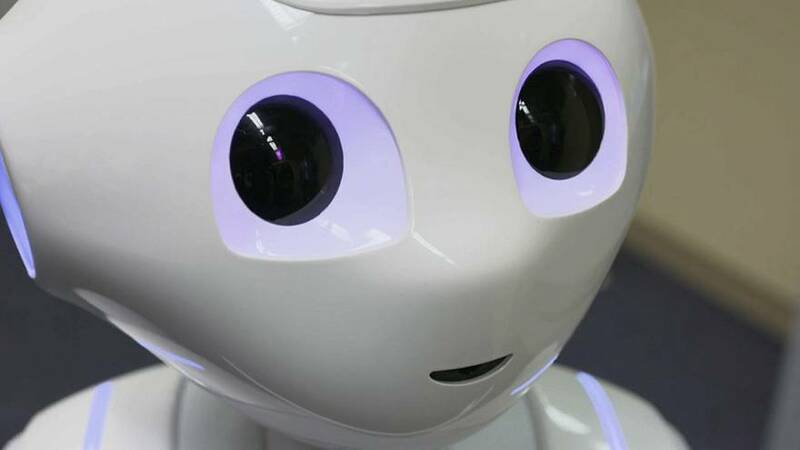 The declaration stated that the EU would increase investment in AI research and innovation in both the public and private sectors by the end of 2020. That should see €1.5 billion for the period 2018-2020 under the Horizon research and innovation programme, plus €20 billion of combined public and private investment. However, to establish a solid base for AI in the future, more investment will be needed after 2020. Consequently, €20 billion per year of combined public and private investment will be set aside and €1 billion annually through Horizon Europe and the Digital Europe Programme. Given that around two-thirds of Europe's economic growth over the last few decades has been driven by innovation, it is not hard to see why European policymakers and governments are making such investment commitments. Sweden currently tops the table when it comes to Europe's most innovative countries. Real Economy's Sasha Vakulina went to Stockholm to meet Dora Palfi, the co-founder a CEO of 'imagiLabs' which creates tech programming tools for teenage girls, bringing coding to smartphones. Sasha Vakulina: "Sweden is the EU innovation leader. What do you think makes this country so attractive for businesses and startups like yours?" Dora Palfi: "I think the whole ecosystem. Supporting individuals with ideas is what makes Sweden really an innovation hub. I think also the whole mindset in Sweden is very entrepreneurial. There is a lot of collaboration between small companies and also large organisations, and there is also a lot of collaboration with governmental projects, so we recently received a grant from VINNOVA - the Swedish government agency." Sasha Vakulina: "How important is education for innovation and for boosting the innovative economy?" Dora Palfi: "Education, I think, is where it all begins, really. So that is a basis for it all. And, there are many reasons, but one particular thing is that many people would think that innovation means somehow being like a genius, you know, just coming up with a great idea. But really, in reality, it is being able to combine available knowledge and things that maybe work in one context and applying them in a really smart way into another context." Sasha Vakulina: "When it comes to the tech sector women make up only around 15% of jobs in the European Union!" Dora Palfi: "I truly believe that technology is the future, I think a lot of us do. From that, it kind of logically follows that if women are not as actively involved in technology as men are – that women do not have equal terms to contribute to the future, and that is something I really want to change. I think we need more women who have a technical background in order to be able to shape the future of tech and businesses, and to be able to innovate in that end."